The second of the NYT REP Company's plays is Jekyll and Hyde, reimagined by Evan Placey. People who were almost entirely excluded from the original narrative are put right at the forefront of this play. As a result, most of the characters are women, including the dual character of Jekyll and Hyde. 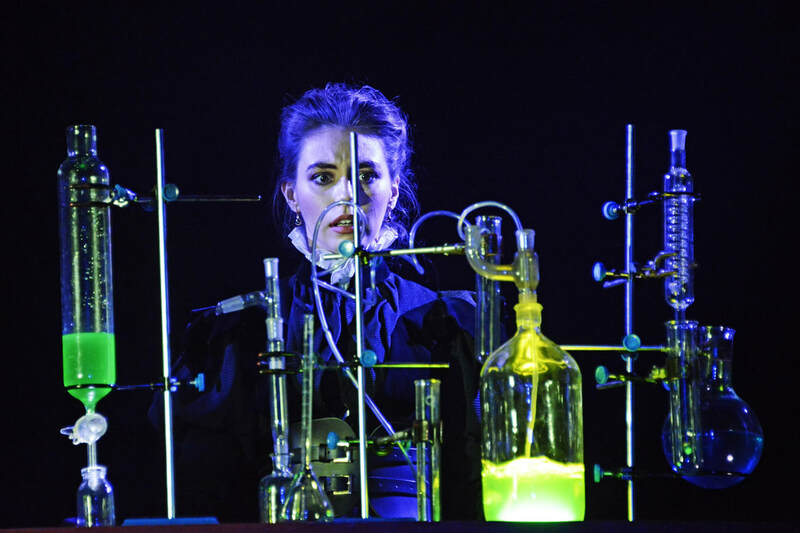 The play follows the key principles of the book - Dr Jekyll (here Mrs Jekyll) uses some sort of concoction to switch personalities , becoming the wild Mr(s) Hyde. Apart from this, it is almost entirely different. This story's protagonist is the widow of Dr Hyde, an intelligent woman who wants to continue her husband's scientific research. 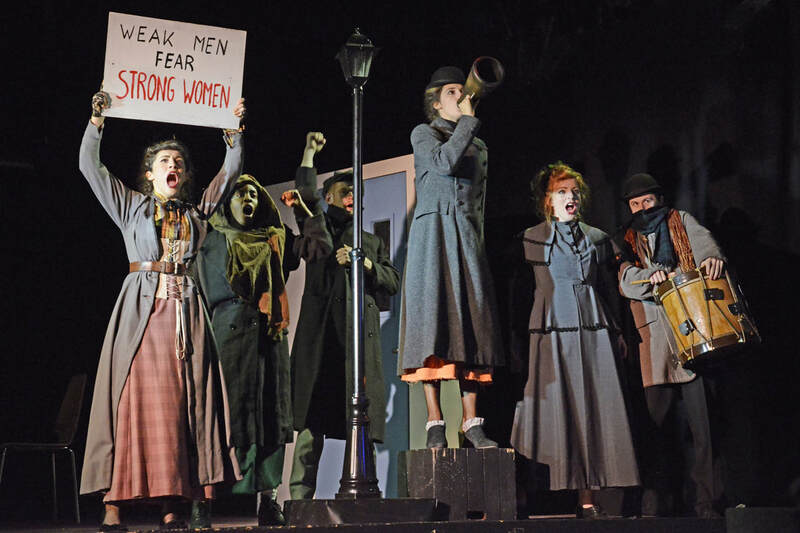 The play moves through Victorian London to show the treatment and position of women of that time... a central element to the play is its focus on feminism. For those who have never read the book, you do not need to have any prior, in depth knowledge to understand the play. This version is entirely comprehendible (apart from the bit with the vicar - what was that about?) and enjoyable as its own piece. The plot of Placey's play takes the most unexpected twists and turns, it is brilliantly clever and various obscure little things in the first act come together in a most ingenious way in the second act. I absolutely cannot wait to get my hands on a script, it was one of the most engaging and interesting pieces in terms of writing that I have ever seen. The set was interesting with small cupboards on wheels that drew you into a multitude of different settings. What is so wonderful about these NYT REP shows is that they do not just deliver fabulous acting - it is not just a display of the acting talents of the REP Company members - it comes as a whole package. The stage design as a whole is neither overdone nor underdone, it is created to perfection - used just enough to have an effect on the audience. I think it is also worth mentioning that stage blood seems to be a particular favourite of the NYT, appearing in abundance throughout both Jekyll and Hyde and Othello. On the acting front, the REP Company honestly amazed me. Learning two completely and entirely different plays and performing them on consecutive nights must be no small feat. It served to show how well the group work as an ensemble, being able to switch from a central role to a much more minor role seamlessly - they work so well together as a unit. Harriet Jekyll (and Flossie Hyde) was played exceptionally by Elizabeth McCafferty, who in Othello played a drunk, shrieking girl. Similarly, Jenny Walser gave an outstanding performance as the intelligent, 18 year old Florence Monroe, but she was a very minor role in Othello. The NYT REP Company was remarkable. I highly recommend this production for a different take on a well known story. It was brilliant all round!